A human brain is the most complex system that we know. It contains about 100 billion neurons. It’s nerve fibers alone, if flattened out, could circle the Earth four times. Our brains are bilateral, highly redundant, flexible systems that count, compare, think, reflect, plan, predict, and dream, to name only a few of its thousands of functions. Our brains allow us to remember events, to be conscious of the world around us, and to be aware of ourselves. Because of our thinking brain, humans are categorized (by other humans) as Homo sapiens sapiens, creatures that think about thinking. Each brain is a work in progress that combines inherited predispositions, a lifetime of social and personal development, awareness, and accumulated memories. MEMORY is not a place in the brain where things get stored, like a shoebox. Memories are specific, neural pathways that are triggered each time we ‘remember’ something. The storing and retrieving of memories take place everyday in our brains. There are different kinds of memories. Some long-term memories last a lifetime, while other, short-term, memories are quickly erased. Short-term memory is ‘working’ memory; we may store a telephone number for only a few moments until we no longer need it. Most short-term memories last only briefly. Long-term memories can last a lifetime, and the more useful they are for our survival and well-being, the longer they last. Sometimes these memories are painful, other times blissful. Semantic memory is fact-based. We use semantic memory when we recall the name of a state capitol or that Times Square is located in New York City. Procedural memory is related to motor activity. It is the reason we don’t have to learn to ride a bicycle each time we want to go for a bike ride. Episodic memory keeps track of our personal experiences, usually with us at the center. Who were we with on our trip to New York? When were we there? Was it fun, or was it a nightmare of noise and confusion, or perhaps both? Episodic memory occurs in the brain’s frontal cortex, the last to develop in children, and the first to break down in later life. When we sleep, daily memories are sorted and consolidated, then delivered to the areas of the brain responsible for long-term memory. Our strongest memories are associated with emotions. Memories are deepened by intense emotional experiences. Intense emotions produce strong memories. Although physical pain is also remembered, emotional pain is relived. When we remember an intense emotional event, we experience it all over again, almost as though it were happening for the first time. An efficient, but often frustrating, process that occurs in our brain is memory ‘editing’. 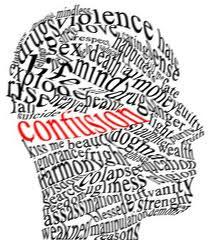 Long-term memories are always modified and distorted during the process of consolidation. These distortions can involve stretching or shortening of time durations, physical distances, or the sizes and scale of objects. Known as commoning, the brain re-creates a memory with just enough detail so that we can recall the most important aspects of the memory, but not enough to allow us to remember specific details. Other distortions include the invention of new features that fill gaps in the original memory, or the merging of elements from two or more entirely different experiences. This is why we don’t always remember events exactly as they happened, or why two or more people witnessing the same event may have very different recollections of it. Given the number of memories processed everyday, commoning saves memory capacity without threatening our survival. This is a classic trade-off between the quality of a memory and memory bandwidth. And yet when we become distracted, we are all capable of forgetting. 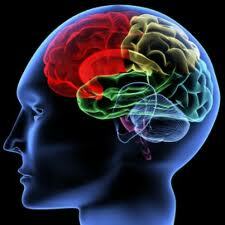 Most of our experiences eventually pass through the hippocampus, the center of memory processing. The major reason that smell and taste trigger strong memories is because they are linked directly to the hippocampus; they don’t have to cycle through other relay stations in the brain. Most of us have heard of déjà vu, the feeling that an unfamiliar circumstance or series of events has happened before. 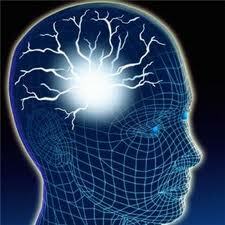 This condition occurs in epilepsy patients where memory is involved, but the direct cause is unknown. Jamais vu is less well known and is exactly the opposite, the sensation that something well known to you seems completely unfamiliar. This experience can occur when you stare at a familiar object, where the object loses its familiar quality and morphs into a disconnected blur. But we humans also store information in places other than our brains; these are extended memories. They include books, newspapers, magazines, recipes, even tattoos, as well as digital storage devices such as computers, cell phones, video games, and audio and video recordings. One of the most satisfying aspects of extended memory is our ability to store information in other people’s brains. Whenever you have a conversation with a family member or close friend, you are building memories in each other’s brains; you are storing your friend’s experiences and your friend is storing yours. It is an act of sharing, as well as a form of immortality. Only recently, brain scientists have conducted breakthrough experiments concerning a different form of extended memory; and they contain huge implications. For the first time, researchers recorded a memory on a tape recorder (in the form of a series of pulses) from the hippocampus of a mouse performing a task, erased the memory in the mouse’s brain so that it could no longer remember how to perform the task, then reinstated the memory into the mouse’s hippocampus using the original pulses from the tape recorder. The mouse once again ‘remembered’ how to perform its task. The scientists could just as easily have inserted the memory into a different mouse. Think of the things you could quickly learn using this method! Acquiring a new language would certainly be easier. The consequences of this research are enormous and promise to open new pathways in medicine, morality and ethics, and everyday life. CONSCIOUSNESS is the awareness of things. All creatures large and small are aware of their surroundings. Being conscious means that we can recognize differences between things. If everything were exactly the same, we would not be able to distinguish anything from anything else. There would be no consciousness. Every living thing senses what is going on around them and is able to respond in some way. Various creatures, including humans, have evolved different degrees and methods of consciousness. Different creatures have different ways of experiencing the world. Butterflies see, but don’t hear. Bats hear, but don’t see. Spiders don’t see or hear; they ‘feel’ their way along. Worms don’t have eyes or ears, but detect movements through the ground. All creatures benefit from some form of consciousness. Bacteria, fungi, and plants are pre-conscious. They have no nerve cells, yet they can sense change in their environment and respond to it. True consciousness occurred in animals around 600 million years ago. Animals were the first creatures to process sensory information using nerve cells. Without memory, there would be no consciousness. Consciousness involves learning, which depends on the ability to save and recall information, and to develop new behavior in response to environmental challenges. Consciousness also includes exploration, emotional states such as fight or flight, pattern recognition, signaling, mimicry, courtship, and social exchange. Self-consciousness is the brain’s internal reflection of itself, and it’s interests. Humans are self-conscious. My brain, and yours, is not only aware of its surroundings, it is aware of itself. Although we often take it for granted, each of us possesses a unique ability to monitor our own thoughts, feelings, and actions. For a brain to be self-conscious it must be able to represent the world symbolically, which implies the use of symbols such as marks, visual shapes and patterns, rhythmic and tonal patterns. 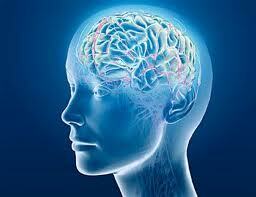 Expanded long-term memory is a primary requirement for a self-conscious brain. 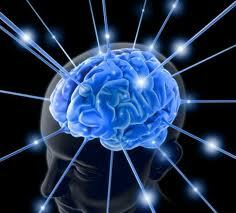 By definition, a self-conscious brain must also include language, with an innate set of grammatical rules, or syntax. For a brain to be self-conscious, it must be able to think abstractly, question, predict, generalize, categorize, and reason. Other characteristics that define self-consciousness may include complex emotional states, the use of metaphor and analogy, the formation of new ideas, morality, empathy, high levels of cooperation and altruism, creativity, insight, long-term planning, the capacity for spirituality, and cultural exchange. Communal consciousness is group identity and awareness, which is characterized by a shared purpose. Groups that form a communal consciousness include, but are not limited to, nations, cities, neighborhoods, families, sports teams, choral groups, special interest clubs, classes that meet regularly. 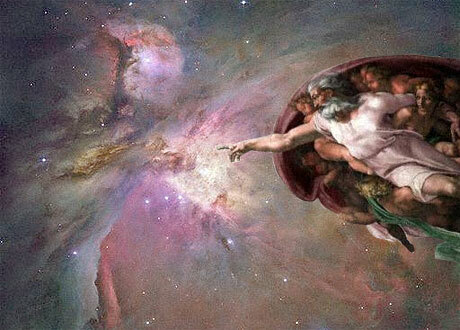 Super-consciousness is consciousness of the future. Super-consciousness may result from the evolution of self-consciousness that leads to the creation of a human/machine hybrid, or a super-intelligent robot or computer that is able to replicate and adapt to its environment. Each neuron in our brain is connected to thousands of other neurons. These neural connections are responsible for establishing a particular detail of an experience in response to a stimulus. A single tone in music, a color, a smell. Groups of neurons work together to produce a more complex experience such as listening to a melody or recognizing a face. There is a neuron or group of neurons dedicated to every detail associated with each of our experiences. Groups of neurons within a human brain are not ‘hard-wired’ as they are in insects for example. They often produce unpredictable or ‘random’* associations based on the chemical transfer of signals from one neuron to the next. These neurological inconsistencies provide flexibility at the highest levels of consciousness, resulting in our ability to make complicated decisions. It also accounts for confusion and indecision, which explains the popular quote: ‘To error is human’. These same chemical processes that occur at the synapses between neighboring cells are responsible for the delayed time reactions in our thinking and motor responses. Human thinking, feeling, and acting, for all of its planning, reasoning, and inspired attempts at perfection, is often messy. The complete set of neurons and their connections in a brain is called a connectome, similar to the set of genes that make up a genome. Recently scientists have mapped all of the 300 neurons in the tiny brain of the C. élegans roundworm. They found that for each neuron there are hundreds of connections to other neurons. Today there are laboratories around the world working to map the human brain. But it is a mind-numbing task because of the sheer amount of neurons and connections in our brains. And, unlike roundworms and other simple creatures which have standardized nervous systems, our brains are different from one another; neurons are constantly rewiring and regenerating themselves and their connections. It took 12 years to map the roundworm connectome. It will take many more years to map the human connectome, but when it is finally complete, we will have a storehouse of knowledge resulting in a deep understanding of how our brain functions. The thalamus is a region of the brain that collects all incoming sensory information and distributes it to specialized areas of the brain. The composite of our sensory experience at any given moment, the feeling we have that the world is unified or whole, appears to be caused by a wave cycle that originates in the thalamus and continually sweeps over the entire brain 40 times each second. 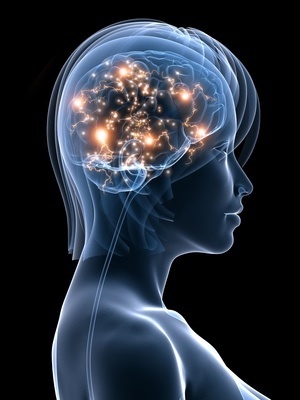 A human brain is able to acknowledge itself, including its thoughts, stored memories, and emotional states, as well as its overall presence or identity. Identity refers to the ‘I’ or ‘Me’, which the brain recognizes as Self. But what is ‘Me’, really? Is it my personality? Is it what I appear to be, or who I feel I am? Is it what I say I am? Is it what I do? Is it all of these things? Does my true identity change over time? What do I mean by ‘inner self’. Consider that ‘Self’, what we refer to as ‘Me’, is a composite of the experiences accumulated in our brain from the time we acquire language, at about age two, to the present. When we unexpectedly catch a glimpse of ourselves in a mirror, we are often shocked to see something very different from what we feel is our inner self, or ‘Me’. Although our knowledge and experience gradually changes with age, including normal psychological transformations and adjustments, we perceive our inner self to be singular, unique, independent. This perception of self, or ‘Me’, remains essentially the same throughout our lifetime. But we also build experiences and memories around familiar themes. Much of life involves repeated behavior that follows simple routines. Is this enough to cause the illusion of a coherent, persistent identity? We spend all of our lives inside our brain, much of it thinking about what matters to us. Suppose there are feedback loops within our conscious brain regularly oscillating and echoing along familiar pathways, triggering memories that reflect critical lifetime experiences, revealing our most persistent attitudes, hopes, fears and desires. If so, these selected memories, supported by innate character traits, are being constantly reinforced, perhaps creating the unique perception of inner self. Myth and tribal ritual, what has evolved into modern-day religion, may have been an important factor in stimulating the desire to know ourselves. The need for religion or spiritual unity appears to be innate. Today, religion and other forms of spiritual awakening, provide a powerful context for exploring and sharing personal and social ‘identity’. Ethnicity, race, nationality, religion, fashion, sports, politics all trigger deeply emotional instincts within us. At bottom, they are related to our desire to discover or maintain personal and social identity. The search for ourselves truly separates us from other animals. It has significantly shaped the lives of modern humans, and it is likely that it has been a driving force for our evolved consciousness. The subconscious mind lies just below consciousness, and is easily accessible when we pay attention to it. We may know something, but we may not be able to access the information without focusing on it, such as a friend’s phone number. The unconscious, on the other hand, lies deep within our brain and is generally not available for us to think about or to remember. There are things that our brain keeps track of, that we are aware of or may have directly experienced, but are so unpleasant or painful that we simply can’t access them consciously. Sleeping is the way in which the brain suspends conscious activity. 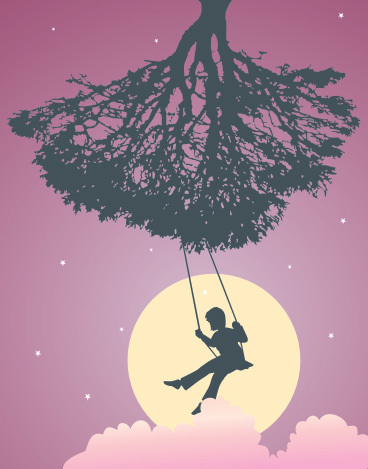 Dreaming, particularly REM dreaming, is a period of intense cognitive activity, in which the brain relies on internal information to form various states of mind. These dreams are shaped solely by memories, without controlled or conscious thought. Dreams are typically narrative, but do not seem to call on the higher centers of language for structural continuity or meaning. The result is that ‘the language of dreams is fragmented, the plots are confused, natural laws are disobeyed, and obsession, phobia, and paranoia are commonplace’. In the 19th century the iconic psychiatrist and dream interpreter Sigmund Freud believed that dreams were a pathway to understanding events in our childhood that were perhaps unpleasant, or that were buried in the unconscious mind. Today, modern dream researchers believe that dreams are more likely a roadmap to the things that are important in our everyday lives, but that we simply haven’t taken the time to address for one reason or another. 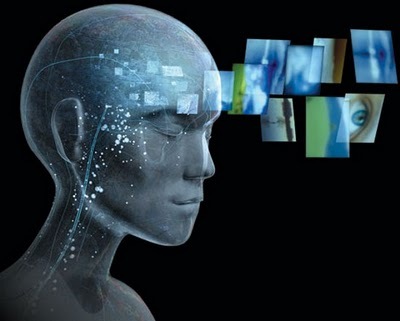 Dreams can signal, symbolically, what we are consciously or subconsciously concerned about. And interpreting our dreams can be a very effective tool in preserving mental and emotional stability. For centuries, scientists, philosophers, and others have debated whether the neurological workings of the brain, and our thinking, feeling, creative mind, are one and the same. Some say that brain and mind are identical. Others believe they are separate. As of yet, no one has devised an experiment that can settle the argument. Related to this dilemma is what neurologists refer to as The Big Problem. If brain and mind are the same, or even if they are not, how does a collection of interconnected neuro-chemical circuits, 100 billion neurons in all, provide us with the remarkable experience of life, such as tasting an ice-cream cone, listening to our favorite music, or falling in love? For now, one way we can think about this problem is to consider the brain as the functioning circuitry, and its related chemistry, constantly firing in our heads, and the mind as a direct result of this activity creating the perceptions, thoughts, and feelings we experience every day.